I have sadly been neglecting Wool in the Wilde. But I have resolved to give it my attention this year. I did make quite a few outfits last year, but I never got around to putting them in the shop. Well, I've put some things in the Etsy shop over the past couple weeks. First is this outfit for Ellowyne Wilde and friends. 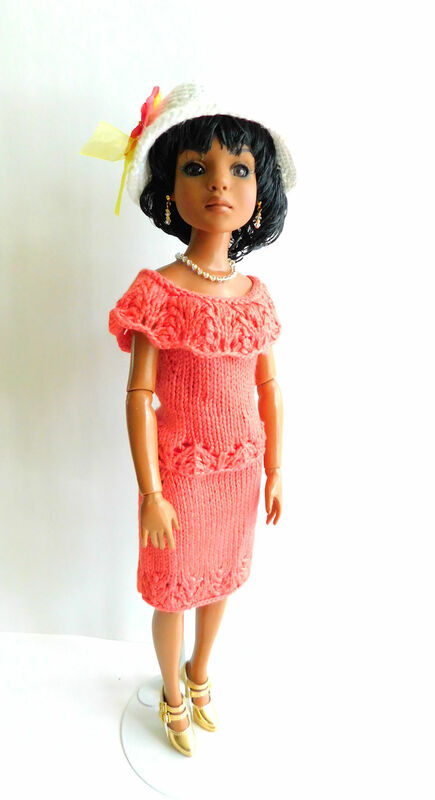 and this fully knit outfit in Salmon Pink. 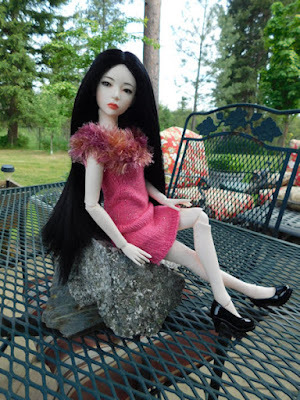 If you're not familiar with Iplehouse dolls, they are usually made of resin and are fully jointed. They can be posed in just about any way you want. They come in various sizes. The JID's are about 17 inches tall. 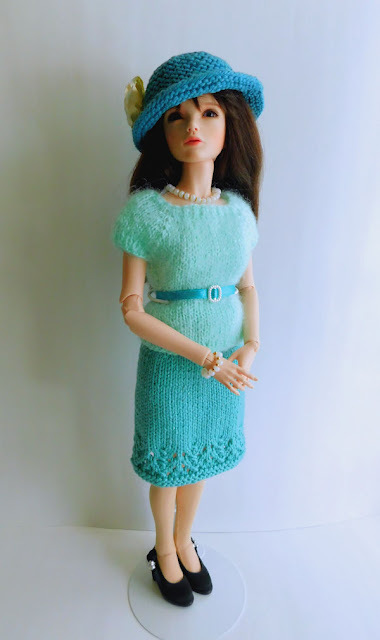 I have added to my shop two outfits that will fit Iplehouse JID dolls. They are being modelled by my Sierra. First is this lovely pink skirt and top with matching jewelry and hat. Second is this green outfit.